Scanning electron micrograph (SEM) of human B-lymphocytes. They are white blood cells and one of the component cell types of the human immune system. B-lymphocytes (B-cells) arise in the foetal liver and spleen & in adult bone marrow. They are distinct from the functionally different T-cells, which are derived from the thymus. B-cells are characterised by the presence of antibodies (immunoglobulins) inserted into their surface membranes. These antibodies act as receptors to specific antigens on foreign substances. 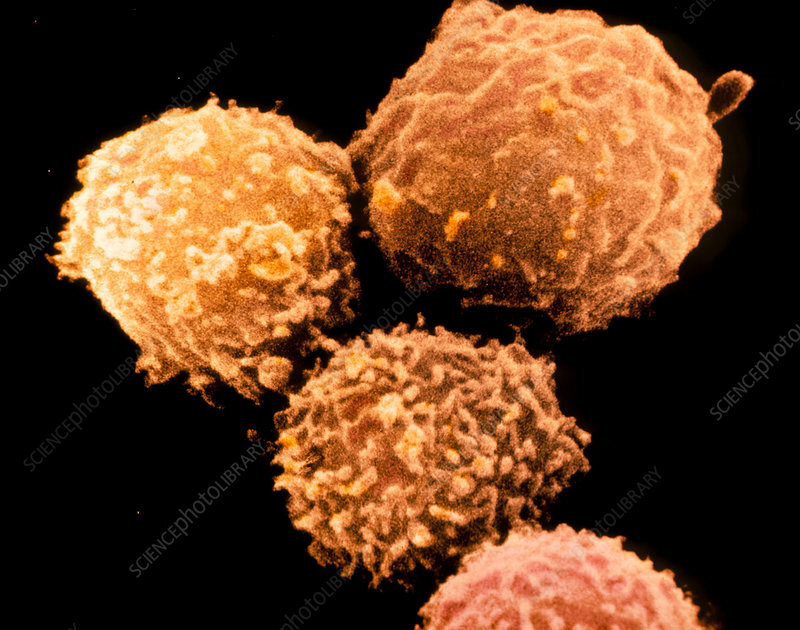 The majority of human B-cells display surface antibodies of class IgM and IgD. Magnification: x1650 at 35mm size.